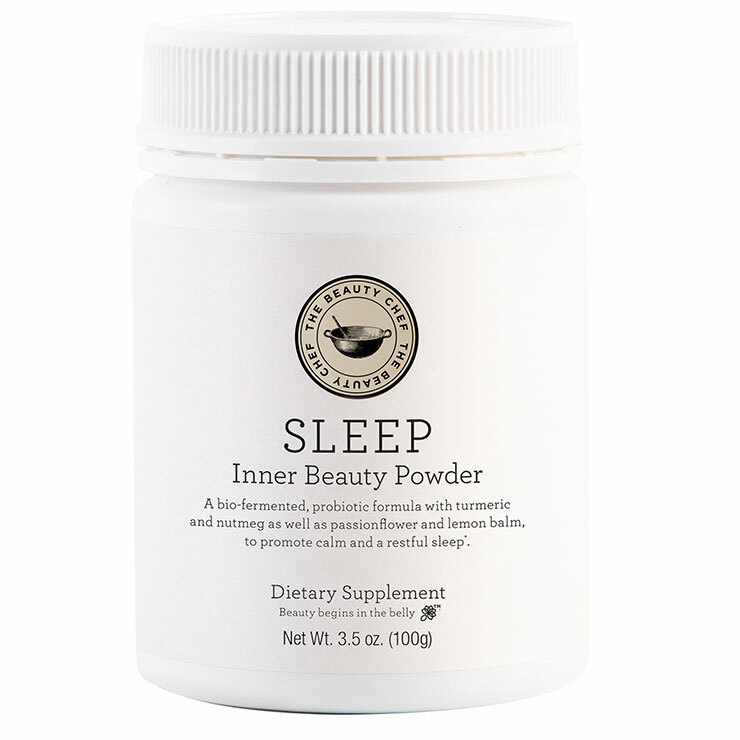 Naturally aid sleep with Beauty Chef’s Sleep Inner Beauty Powder. A delicious blend of bio-fermented turmeric, spices, passionflower, and lemon balm, this antioxidant-rich organically sourced blend ensures you get are supported in getting your most tranquil night's sleepsleep, while also promoting beauty and overall well-being with its synergistic formula. Blend 1 tsp with 200mls of warm (not hot) water or milk, 1 hr before bedtime.